Disclaimer: This article is solely based on our research and information we found on the internet about ATC COIN, We don’t want to hurt sentiments of ATC coin or its investors. Although Bitcoin’s price has reached to Rs.3,30,000, its popularity has become far-reaching. Everyone is looking to make investments in Cryptocurrency. However, there is a lack of knowledge as to how it actually works, and many people try and take advantage of it to make a quick buck. If you’re reading this, you probably have heard of ATC coin. You might have heard that this is the hottest, new get rich scheme in town. Many have taken to ATC Coin as a means to earn a lot of money, in a short span of time, without doing much. Who doesn’t want to get rich without doing much? To us, this seemed too good to be true. Anyone investing cryptocurrency will tell you to treat carefully with these type of schemes. There are already people asking if ATC Coin will rival BTC given how it has been growing. Furthermore, superficial research won’t give you much. We did our own research and we have one thing to tell you – tread very, very carefully. Their onboarding process was unusual. You can make an initial investment of say 5000 to 20,000 INR, and you will get the same value of coins in the first month and 10% of the coin value you hold for every month. However, this money is locked in for a period of 18 months. There is also an MLM aspect to ATC Coin and this is where things start to get murkier. As you can see, it’s structured just like many a ponzi scheme, with insurance coverages and audacious gifts like holidays and cars. Sure, MLM has been an effective marketing method back in the day but has been rendered fairly useless in modern day businesses. Furthermore, the high rewards system suggests that they don’t expect too many people making it to the top. It’s all a bit fishy at this point, but it gets worse for the investor. Is this suggesting that 90% of an investor’s earned income can be withdrawn by the ATC Coin people at any time? We might want to word that a little differently if you don’t want people getting the wrong idea, right? While ATC Coin allows you to sell coins that you make from referrals, MLM has been known to only benefit the early adopters and late joiners basically get nothing because of the sheer number of people in the system. Most successful cryptocurrencies are as a result of blockchain projects that are solving real-world problems. The more successful the project, the more valuable the currency. The success projection can be charted out based on the project proposal, the team etc. There’s really nothing of this sort we can find for ATC coin. We suspect this is why there are such a strong MLM play and unfriendly rules like the 18-month lock-in. Furthermore, there doesn’t seem to be any proof of work for creating new ATC Coins. This would have been clearer if there was a white paper for ATC Coin. But this would also mean disclosing details of the team and have a technology play, which ATC Coin doesn’t have. Why is it still growing? This is where the 18-month lock-in period comes in. There will be large volumes in buy rates and selling isn’t possible with your initial investment. You can only sell coins earner through referrals, which will be much lower than the buy rate. This will be the trend for at least 18 months for each cohort. It’s really fascinating how this coin’s value keeps growing, despite having a half decent website, no product roadmap, no proof of work, no official communication channels and no technology play whatsoever. MLM marketing inherently provides a strong word of mouth as a means of growth and this coin has increased its value by a lot, all under the radar. This is what happens when there is no regulation in cryptocurrency. No proof of work for creating coins. No blockchain project that’s solving a problem. Thehavehas been rumours among freelancers that ATC Coin contacted technologist to create a fake cryptocurrency and a portal for transacting it. If these rumours are true, then ATC Coin is doing a huge disservice to the Indian cryptocurrency community. 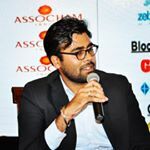 Cryptocurrency investing in India is in its early days and highly unregulated. These are the sort of scams that reduces trust in this new field. When used well, there is a lot of good you can do with cryptocurrency but a lack of a central watchdog sees people give in to deceitful ways of making a quick buck. This is not sustainable. If you’re investing in cryptocurrency, do your research. Take second opinions. Understand the technology and stay in it for the long run. This is the only way you can create a fortune in cryptocurrency. Anything else that offers you quick returns, like the aforementioned case, beware. No. It doesn’t seem a nice coin. the founder has a lot of photos with bollywood actors in site’s gallery section which has got nothing to do with the coin. I don’t see any authentic event, news and also website is not complete yet.